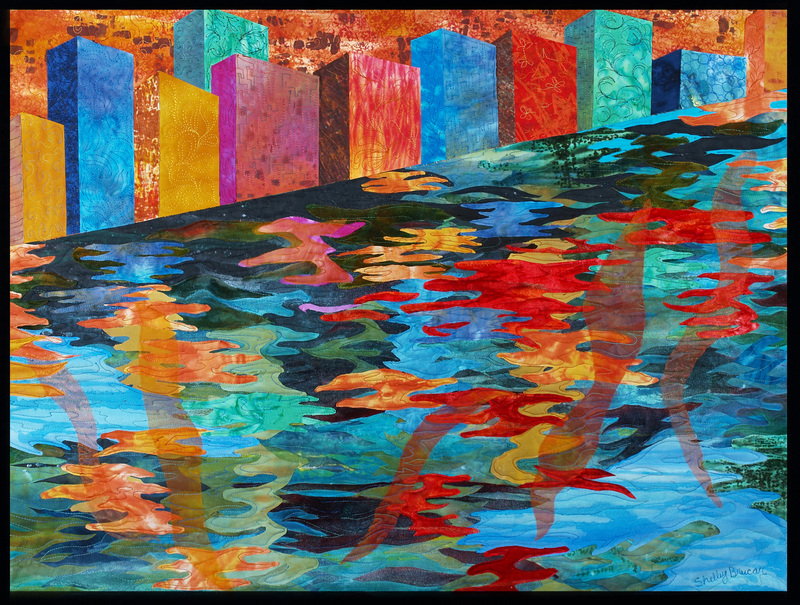 Viewpoints, Works in Fiber will be shown at the Lincolnwood Village Hall,6900 N. Lincoln Ave,Lincolnwood,ILfromMarch 20, 2012throughApril 20, 2012. Four fiber artists, Barbara Schneider, Michelle Sales, Sally Schoch and Shelley Brucar, were invited to be part of this group exhibit. Meet the artists at the Artist Reception, Tuesday, March 20, 5-7pm. Barbara Schneider’s background is in visual design. 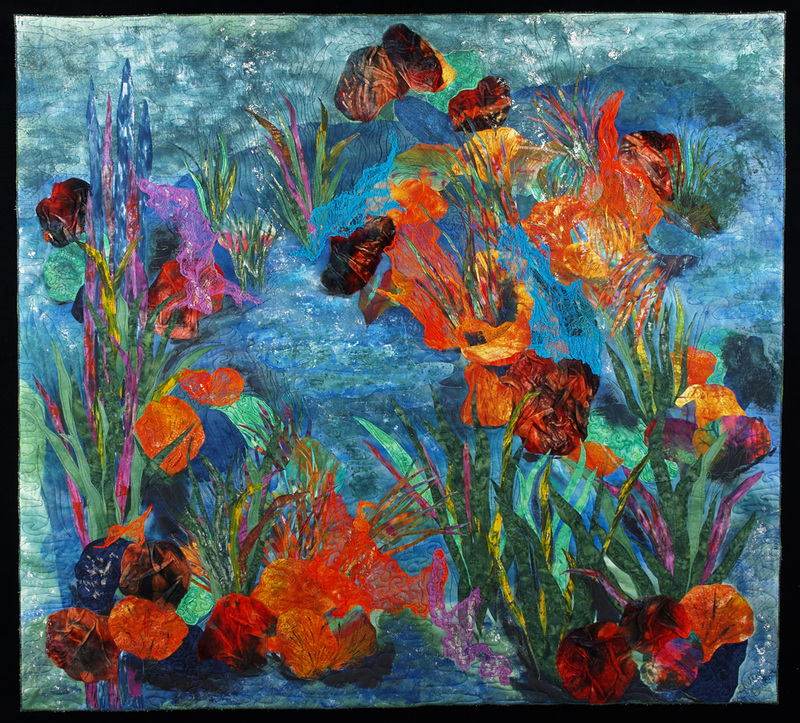 She began quilting in 1966 and discovered the pleasures of cloth, dye, paint and thread. She has an on-going interest in the Japanese concept of Wabi-Sabi, finding beauty in things that are imperfect , impermanent and incomplete. Barbara tries to capture the essence of light and movement in her art. Sally Schoch’s art career started and still includes abstract flower and portrait painting. She considers abstract art a marriage of imagination, spontaneity and color. Sally started working in fiber, after a trip toLondon, and her fiber dolls will be exhibited in Viewpoints. Michelle Sales will tell you that her work is concerned with the excavation and transformation of memory. She creates art to capture and preserve memories, to document events, emotions, growth and decline. 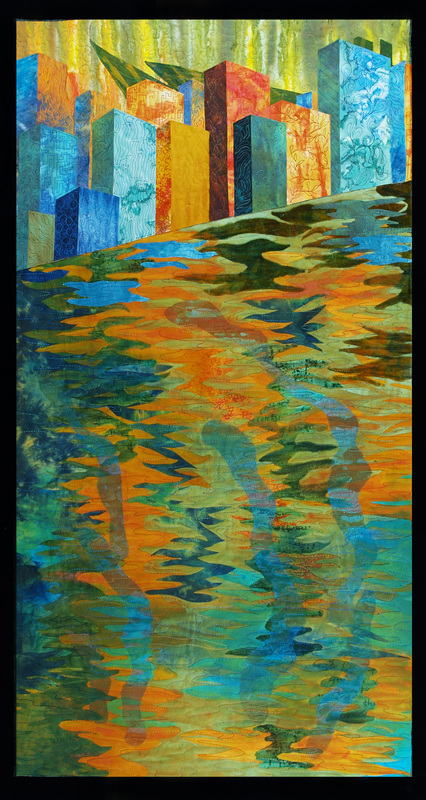 Working with an earthy palette allows her to explore our connectedness to nature and the human condition. My art brings to life my spiritual connection with nature. For me, spirituality is about connecting with something larger than oneself as well as with one’s inner being, one’s core, the values by which one lives. The tranquility of the natural world is my inspiration. I wants to share a sense of serenity and encourage viewers to let go of life’s daily demands, to step into the art and feel their own connection with nature.